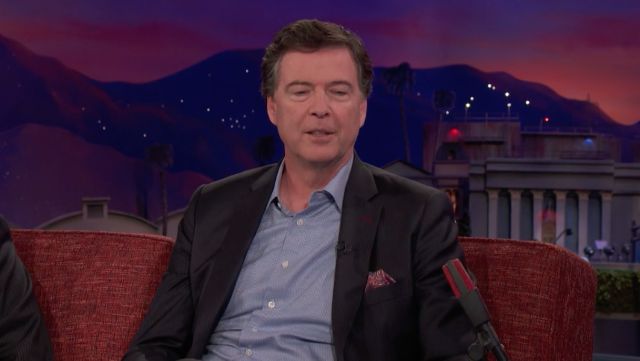 Oh no there’s now a video of James Comey just-barely singing Beyoncé’s “Sandcastles.” The former FBI director recently guested on Conan to talk about his new memoir A Higher Loyalty: Truth, Lies, And Leadership, a book that details his time spent working under the Obama and Trump administrations. It also details the time he sang a lyric from Beyoncé’s “Sandcastles,” off of her 2016 album Lemonade, to a bunch of FBI staffers. Comey then explains that he has five kids and duh they listen to Beyoncé. “I listened to all of Lemonade,” he says, almost smugly. He then proceeds to kinda-sorta sing. Watch below. This story originally appeared on Stereogum.